cover maximum protection. At Shades, functionality and style go together. We now offer a wide array of models, colours, fabrics and finishes to make sure your new awning suits your shop, restaurant or patio. A full-cassette awning is an enclosed awning, where the fabric and the arms are stored in an encompassing cassette when retracted. That provides complete protection against wind and heavy rain, so you can enjoy your pristine awning for many years. Our retractable awnings are built using the latest technology that guarantees their durability and your satisfaction. An integrated gutter allows an easy water flow so that it does not accumulate on the surface of your awning. 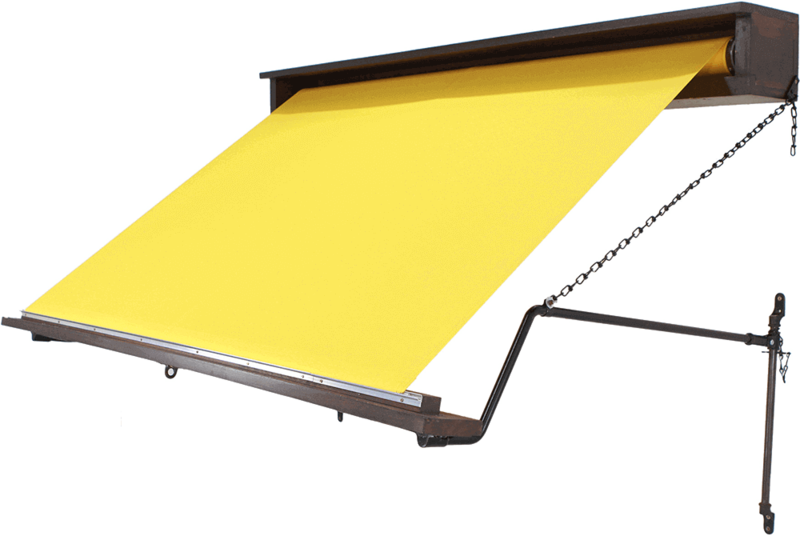 The compact cassette fits even the places that are hard to reach, and it is unobtrusive when the awning is retracted. In spite of its small frame this awning can easily cover large areas, protecting your clients from scorching sun or pouring rain. Our full-cassette awnings are crafted with great care to enhance any outdoor space. You can adjust the individual elements of the awning to create a unique design and make your sunshade look elegant – both open and closed. To further meet your needs, we are offering electrically operated awnings where you will be supplied with a remote control to operate it from the comfort of your chair. The awning can be opened as little or as much as you wish, up to its full projection. And you can also add wind and light sensors to keep your mind at ease. It will make your sunshade close when it’s windy and re-open when it calms down, and the lights will turn on automatically when it’s getting dark and turn off when it’s sunny. Width: Smallest awning size 3 metres and up to 6 metres in one piece.